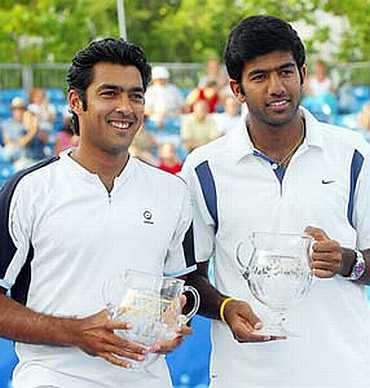 The best performance of their career at the US Open propelled the team of Rohan Bopanna and Aisam-ul Haq Qureshi to the No 6 ranking, and the Indian says the day is not far when they will be number one. 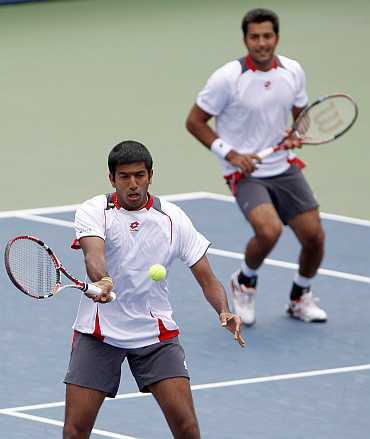 Playing their first Grand Slam final, Bopanna and Qureshi finished runners-up after losing the final to Mike and Bob Bryan in the final of the last Grand Slam of the year. Asked on Monday if the world No 1 tag is a possibility, Bopanna replied: "Why not. We are No.6 in the world now. As a team, we can definitely take a shot to be world number 1. If it does not happen this year, perhaps, it could happen in the next season. I do not see why we cannot get there." Talking about his successful partnership with Qureshi, Bopanna said although he knows Qureshi for more than 15 years now, they started to think seriously as a team only since this January. "I never took doubles seriously, but this year we took it seriously and we won many Challengers together and decided to work as a team since January. I would say it has been fruitful and we are doing well. Need to keep up the momentum," a beaming Bopanna told reporters in Chennai. "Throughout this year we have been playing pretty well on different surfaces. We played so well leading up to the US Open; that gave the confidence and we were also motivated greatly. "Most often we used to win the first set and drop in the second and win the tie-break. 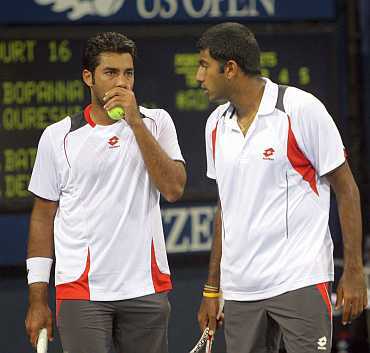 During the US Open we never wanted to be playing in that manner and went for straight-set wins," Bopanna said. He brushed aside talk of the political side of his partnership with Qureshi. "We are just there to play tennis. We are trying to help each other in our respective careers. 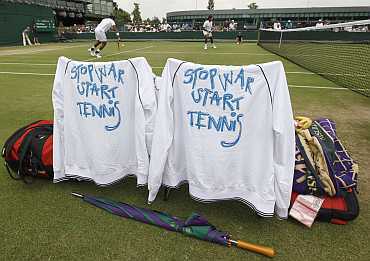 Since we are brand ambassadors for peace, we develop peace through sport. "We are not looking at it in any political way. It's not like that he is somebody from Pakistan to me. He is a great friend for me on the court. He had no options and he has been playing with many Indians all through his career. For me, we have been doing well together and that is about it," he said. Talking about the phenomenon that there are just a few singles players in India, Bopanna said tennis is an expensive sport and youngsters need financial backing to excel. "I am happy that Indians are there in doubles, otherwise people say 'why no Indian is there in singles or doubles on the professional circuit'. We do have singles players on the circuit and the transition takes place and it takes time. "Tennis is an expensive sport and it is not easy to sustain as one needs to travel almost 30 weeks in a year and meet the expenses, besides having high quality coaches." Bopanna was of the view that hosting more ATP tournaments in India and telecast of international tennis tournaments on Indian channels would help in the growth of the sport in the country. "That is why cricket is popular and every Indian is watching the sport on television and getting into it," he said.